Adressed to beginers, it will mainely take place on a small slope where you will learn the basics of take-of, landing and mastering simple turns. This instruction has to be done properly because it conditions you futur reflexes as a pilot. In order to not rush over a single course of 5 days, this initiation takes place durring 12 week-ends over the summer. We are aware that for people comming from far away this formulation is not convinient so we added a compact course of 6 consecutive days. The initiation pack end with a couple of solo flights, whenever the pilot is ready. The course is a 5 days course open to pilots having already performed their first solo flights. During these five days we will go flying on different spots and, according to the pilots level, learn to exploit assendances and fly in turbulent conditions. 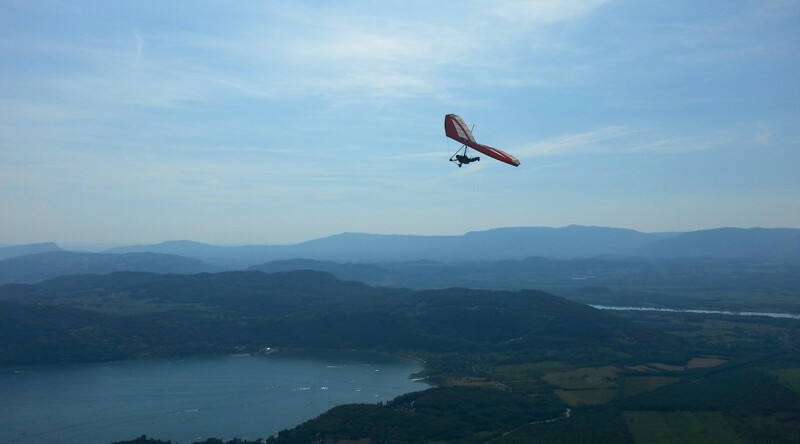 We will also work on the evaluation of flying conditions, crucial for a safe practice of hang-gliding.